A Chinese study examines the relationship between satisfaction and burnout in the emergency department, and the implications this has on staying in their role. A study carried out in Shanghai, China, has shown high levels of burnout among emergency department nurses. Job satisfaction and burnout have been linked to high staff turnover. 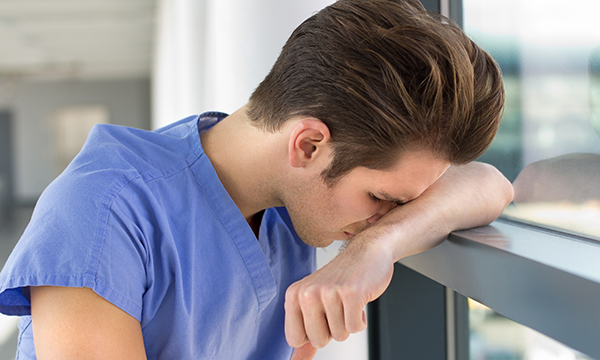 The study examined the relationship between satisfaction and burnout and how the two factors are linked to nurses’ intention to stay in their role in an emergency department (ED). The cross-sectional descriptive survey study was carried out using the authors’ own questionnaire in combination with the Maslach Burnout Inventory. More than 1,100 nurses in EDs across 30 Shanghai hospitals were asked to complete the survey and there was an 87% response rate. Data were analysed to determine possible causes for burnout and identify reasons for ED nurses’ continued desire to stay in the job. Among the respondents, 75% said they were very satisfied or satisfied in their work, but 22.5% said they might leave the ED within one year. Salary, nurse-patient relationships, nurse staffing and work environment were factors that contributed to nurses’ discontent, while team cohesion contributed to greater work satisfaction. The authors suggest that interventions should be geared towards improving satisfaction and reducing burnout in order to maintain the stability of the nursing workforce. The authors conclude that sustaining such stability is ‘considered a key factor for high-quality healthcare’. Jiang H, Ma L, Gao C et al (2017) Satisfaction, burnout and intention to stay of emergency nurses in Shanghai. Emergency Medicine Journal. 34, 448-453.